An hypnotic ambiance in a surreal context. 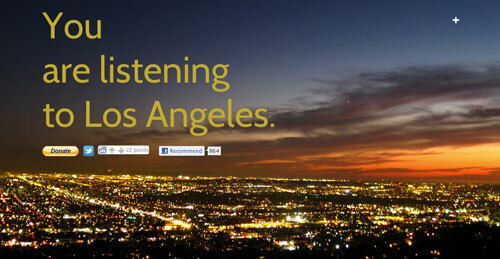 It is called You are listening to Los Angeles, the concept is deceptively simple: stream real-time LAPD police scanner transmissions against an ambient music background. You can also listen twin sites at New York, San Francisco, Chicago and Montreal.